A valve cartridge stem features 20 splines, and the handle features 19 splines. 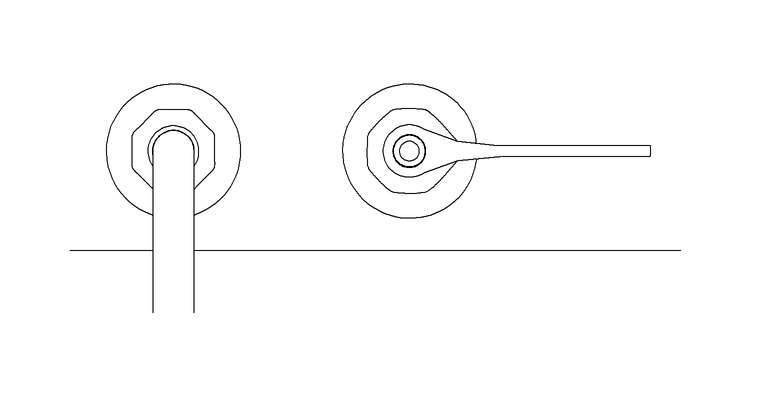 Because of this, the handle can be adjusted to within less than 1/2 degree of perfect alignment. To adjust the handle alignment properly, the spline adapter must be oriented correctly between the valve and the handle. 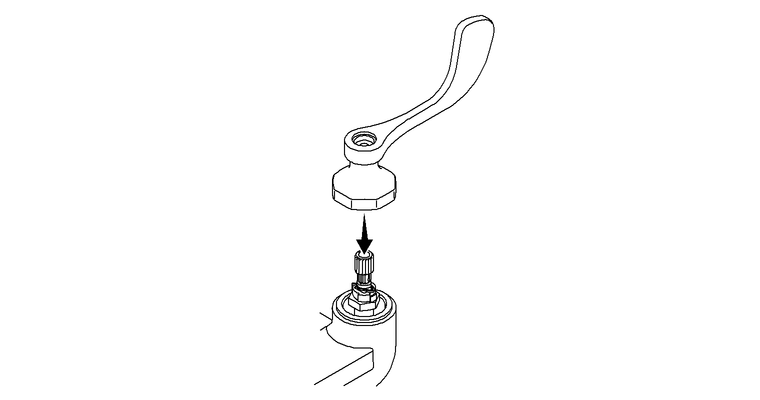 Verify that both valves are fully rotated to the OFF position. NOTE: The valves can rotate a few degrees before water begins to flow. Do not mistake water not flowing as an indicator that the valves are in the fully OFF position. Install the black plastic spline adapter onto the valve cartridge stem, with the split in the adapter as close to the 12 o’clock position as possible. 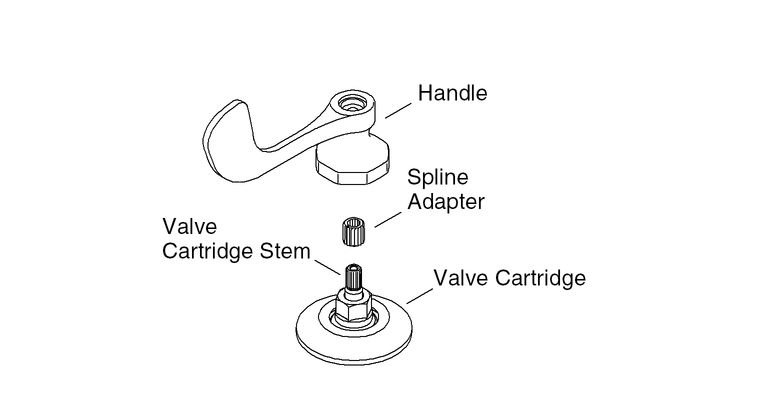 If the spline adapter slides easily over the valve cartridge stem, fully slide the adapter onto the valve stem. 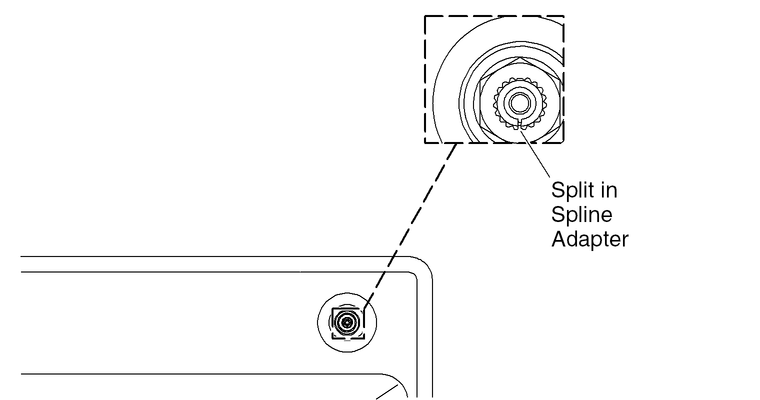 If the spline adapter fits tightly onto the valve cartridge stem, partially slide the spline adapter onto the stem. WARNING! Do not fully install the handle as it may get lodged in the handle splines and be difficult to remove. With the spline adapter in place, partially install the handle onto the spline adapter to determine the closest alignment of the handle. NOTE: Partially installing the handle may take a couple attempts to see which spline engagement is the best. The handle should fall within 10 degrees of the 3 o’clock or 9 o’clock position, depending on whether the handle is the cold or hot handle. Once you have determined the closest fit to the 3 o’clock or 9 o’clock position, determine whether the handles need to be rotated to improve alignment. Turn the spline adapter 180 degrees. If the spline adapter split is at 12 o’clock, place the split at 6 o’clock. 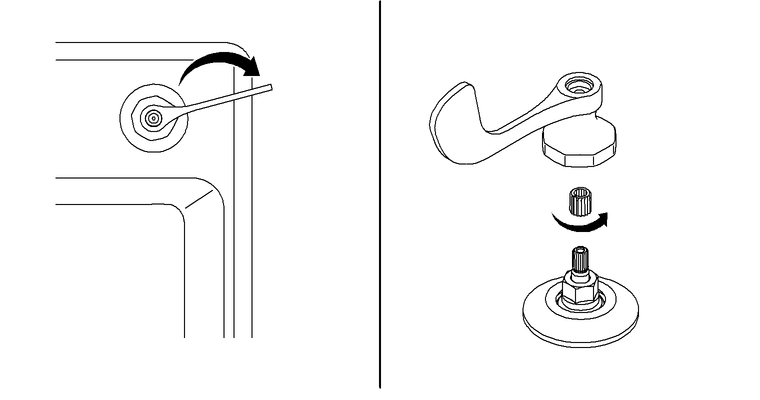 Remove the handle and rotate the spline adapter counterclockwise. 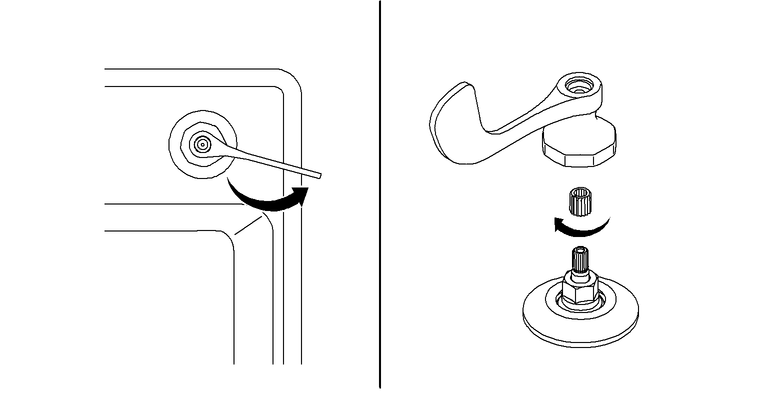 Remove the handle and rotate the spline adapter clockwise.